This collection spans Lovecraft’s literary career, and charts the development of his ‘cosmicist’ philosophy; the belief that behind the veil of our blinkered everyday lives lies another reality, too terrible for the human mind to comprehend. In stories written in the gothic tradition, narrators recount their descent into madness and despair. Through their investigations inThis collection spans Lovecraft’s literary career, and charts the development of his ‘cosmicist’ philosophy; the belief that behind the veil of our blinkered everyday lives lies another reality, too terrible for the human mind to comprehend. In stories written in the gothic tradition, narrators recount their descent into madness and despair. Through their investigations into the unexplained, they tug at the thin threads that separate our world from another of indescribable horror. ‘“ Great God! I never dreamed of THIS!”’ screams occultist Harley Warren in ‘The Statement of Randolph Carter’, as he begs his companion to bury him alive. Another early piece, ‘The Outsider’ – a tragic and emotive evocation of loneliness and desolation – follows a man’s escape from his castle in a desperate search for human contact, but the loathsome truth he discovers destroys his mind.In later tales, such as the iconic ‘The Call of Cthulhu’ and ‘The Whisperer in Darkness’, Lovecraft reaches into the cosmos, bridging the divide between horror and science fiction. The extra-terrestrial ‘gods’ and cursed histories that would emerge from these stories now form the cornerstones of Lovecraft’s unique mythology: the Cthulhu Mythos. This fictional universe, built in large part by his friend and most ardent supporter August Derleth, has in the years since been reimagined in myriad forms, and continues to act as a haunted playground for countless illustrators, fans and authors.This edition, based on its sister limited edition, marries Lovecraft’s best-known fiction with two modern masters of the macabre, the acclaimed artist Dan Hillier and author Alan Moore. In his beautifully crafted new preface, Moore finds Lovecraft at once at odds with and integral to the time in which he lived: ‘the improbable embodiment of an estranged world in transition’. Yet, despite his prejudices and parochialisms, he ‘possessed a voice and a perspective both unique in modern literature’.Hillier’s six mesmerising, portal-like illustrations embrace the alien realities that lurk among the gambrel roofs of Lovecraft’s landscapes. By splicing Victorian portraits and lithographs with cosmic and Lovecraftian symbolism, each piece – like the stories themselves – pulls apart the familiar to reveal what lies beneath.The edition itself shimmers with Lovecraft’s ‘unknown colours’, bound in purple and greens akin to both the ocean depths and mysteries from outer space. The cover is embossed with a mystical design by Hillier, while a monstrous eye stares blankly from the slipcase. 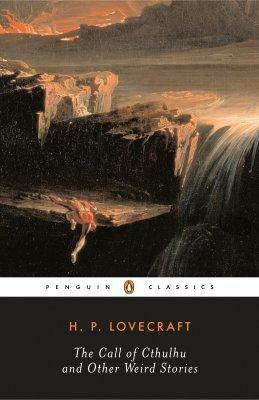 HP Lovecraft's short stories show a masterful skill in setting mood with his dark prose. Unexpectedly, however, Call of C ended up being 'meh' compared to his other stories. I'm never going to Antarctica. Ever. The worst.Purple prose. Necronomicon. OMG there's is something weird and I don't know what it is but I'm going to write a letter and then die/go insane.Repeat ad infinitum.Maybe if I were a high school kid with an unlimited supply of weed. But I doubt it.